In 2010, Singapore threw away 0.64 million tonnes of food waste and only 16% was recycled. This means that on average, each person in Singapore generated about 126kg of food waste a year. This is common throughout the world and according to a 2011 report by the Food and Agriculture Organization of the United Nations, about 1.3 billion tonnes or one third of the food produced in the world for human consumption every year gets lost or wasted. Food waste has several environmental and social impacts, and represents a waste of resources used in food production, distribution and disposal, such as land, water, energy, fertilisers, labour and capital, and produces unnecessary greenhouse gas emissions leading to climate change. The food wasted could be used to feed the poor and the nearly one billion malnourished people in the world. To tackle this problem of food waste, we are thinking of organising a campaign to reduce food waste in Singapore. The campaign would aim to help consumers, households, food outlets, retailers, caterers, food distributors, and food manufacturers in Singapore understand the environmental and social impacts of our food cycle, and take actions to reduce, redistribute and recycle food waste in Singapore. We are still in the process of conceptualising the campaign and trying to get sponsors, and will share more about the campaign later. Meanwhile, if you have any ideas and suggestions, do share them with us. Thanks! 1. Where did you get your stats for your statement “In 2010, Singapore threw away 0.64 million tonnes of food waste and only 16% was recycled.” from? 2. What does “recycled” mean? and recycled into what? (I think NEA treats incineration that generates electricity as “recycling”). 3. What could food waste be recycled into that would feed the hungry? Does it mean that your campaign will target upstream sources of food waste – over buying etc? Would be interested to see how this develops. @Jeffrey, the stats are from NEA at http://app2.nea.gov.sg/topics_wastestats.aspx. Recycled in Singapore’s context currently means turning food waste into animal feed, or turning it into biogas and compost through anaerobic digestion. 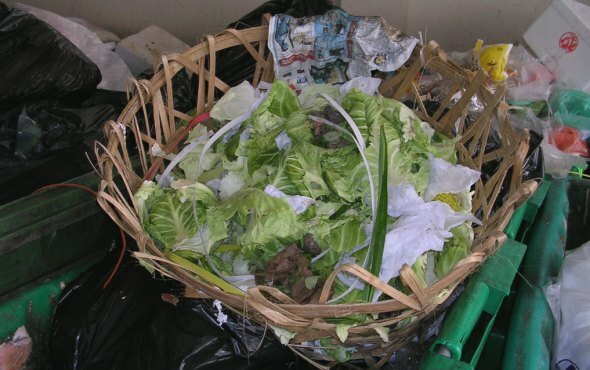 Food waste that is edible should be redistributed to the needy, before recycling. There are plans to include info and tips to reduce food waste upstream. Hi, do you know if there are currently any campaigns to reduce food wastage in Singapore households? Hi, i was wondering if there is an official government body that’s in-charge for the wastage of food i.e Water wastage – NEA, Food Safety – AVA. I’ve been researching, and so far, i’ve only found that NEA does do very little bits and bobs about food wastage, their main purpose being reducing “general waste”. Calling up NEA, the staff weren’t even sure if they were in charge of food wastage. So i assume there is no government oraganistion that focuses on food wastage as much as NEA on water wastage? Of course then if they did, with all the funding and campaigning power, food wastage would be drastically reduced. Can you suggest some of Singapore’s more well know private organisations (eg: charities/this site) that try to reduce food wastage? @Li-anne, NEA look more into the recycling of food waste. The other agencies don’t really look into reducing food wastage. Hi, I agree that the alarming extent of food waste should be highlighted to the public. While there may be many ways to use the food waste and turn it into more useful products eg. fertiliser, animal feed etc, according to the waste hierarchy, the best waste management proposed is to prevent its occurring in the first place. Thus, the ‘reducing’ part of this campaign seems to be of utmost importance. I would be very interested to hear if you have any innovative & effective ideas to convince people of changing their mindset! im a student currenltly studying in singapore polytechnic and i too have a project assignment regarding food waste recycling. for what i think, in singapore, food waste recycling is a rather difficult task to fulfil due to the mixture of waste (especially plastic) and other products that are in-organic. Which is also one of the main for the closure of IUT Global in singapore. Plastic utensils are one of the main plastic materials found in food waste trashbags when delivered to food recycling company, and the cost and manpower required to remove such compounds are high and efficiency level is low. I came to think that, instead of changing the citizens to make a change, which is highly ineffective, how about removing the plastic content within and replace it with bio-degradable utensils? My assumption may be wrong as i do not know if such biodegradable utensils shares the same properties as food waste and can be recycled together. Im looking forward for your reply and enlightment. Hi, I am doing a project on food wastage in food courts in Singapore. 1) Do you have statistics on food wastage in Singapore food courts? 2) Any statistics on who are the biggest group of this wastage? 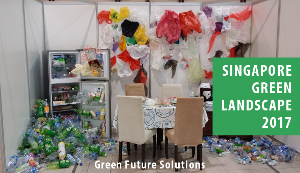 @XQ, it would be better for you to speak to NEA directly about your questions, you can contact the officers in the Waste Minimisation and Recycling Section at http://app.sgdi.gov.sg/listing.asp?agency_subtype=dept&agency_id=0000006915. @Truman, it would be better for you to speak to NEA directly about your question, you can contact the officers in the Waste Minimisation and Recycling Section at http://app.sgdi.gov.sg/listing.asp?agency_subtype=dept&agency_id=0000006915. Hi, are any current measures on reducing food wastage in food centres in SIngapore? Your reply would be very much appreciated!